Caymankind...! Two great Cayman Island escapes this autumn - it's not too early to book! Little Cayman Beach Resort "Autumn Cascades Package" $1344 ppdo - this package includes 7 nights accommodations in a pool view room, 3 superb buffet meals daily, 12 boat dives, and airport ground transfers. Upgrades to ocean view rooms available. Travel valid from August 1 to October 31, 2012. Amazing reefs, super food, friendly people and valet diving! Brac Reef Beach Resort "Fall Fins and Fun Package" $1195 ppdo - this package includes 7 night accommodations in a standard room, breakfast and dinner daily, 12 boat dives, and airport ground transfers. Upgrades to a junior suite available. Travel valid from August 11 to December 14, 2012. Fantastic dives, unlimited buffets, friendly people and valet diving! Fiji at 50% off! If you have ever wanted to travel to Fiji, here is a package you should not miss. Toberua Island Resort brings you affordable luxury. A 7 nights package in a beachfront bure, all gourmet meals, R/T airfare from LAX on Air Pacific, inter island transfers to the resort from Nausori. South seas paradise for $1994 ppdo. Purchase by May 31 with travel between April 1-June 14, 2012 or November 1-December 14, 2012. 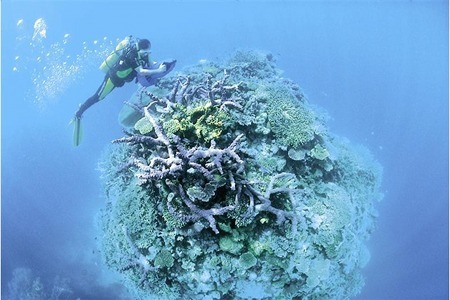 Diving is not included in the package price but can be add ala carte at the resort or booked with us. The resort offers privacy with only 15 bures on the island. For the ultimate in privacy you and your friends may book the entire island for $6,000 per day. Bula...! It's FijiMe time again. If you are looking for that perfect South Seas escape, the private Nukubati Island is your choice. 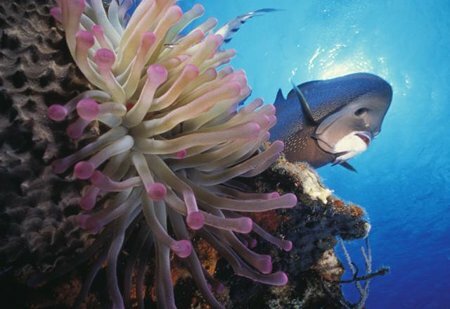 Enjoy lazy hours of fishing, sailing, beach combing, snorkelling and diving on the Great Sea Reef. This package includes 5 nights accommodation in a beachfront bungalow suite, all meals daily, all beverages including bar, airport transfers, and R/T airfare from Los Angeles (LAX) on Air Pacific. This package must be booked by May 31, 2012 for travel April 1 thru June 14, 2012 and November 1 thru December 14, 2012. $3218 per person double occupancy. Call or email us for details and availability. This is a very small resort and accommodations are limited. Utopia Village Resort on Utila is rated #1 on Utila by Trip Advisor. Book this package by Wednesday April 18, 2012 and save $540pp. The package includes 7 nights accommodations, 3 meals daily, 5 days 2-tank boat dives, 1 night dive, unlimited shore diving, and inter island air transfers between Utila and Roatan (RTB). Transfers from the Utila airport to the resort are also included. 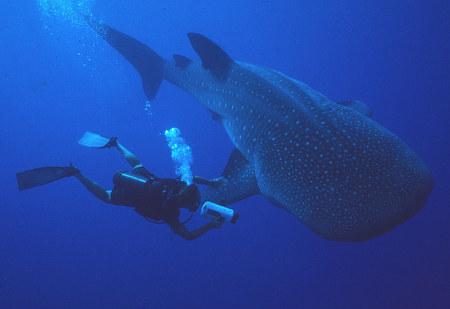 And you will have the opportunity to swim with whale sharks for which Utila is famous. Also a bonus $25 spa voucher is included. We are reserving a hammock for you. This deal must be booked by April 18, 2012 and is valid for travel May 19 thru September 22, 2012. Restricted to Saturday to Saturday travel. $1249 + tax per person double diver occupancy.